If you and your divorcing spouse share children, then your divorce is about much more than who ends up with the house, the cars and the dining room table. You have to think carefully about how your children will respond to this change, both emotionally and logistically. You and your ex may be ready to separate, but are your kids ready to split their time with their parents? Divorcing parents make these major decisions about separating for themselves and as well as for their children. During this complex and difficult process, you may decide that you and your family could benefit from support, guidance and experience. Johnson Mediation provides divorce mediation and parenting services for families in Chanhassen, Bloomington, and Richfield, Minnesota who are navigating the divorce process. Our staff offers parenting classes to help couples keep their children in mind as they make all decisions related to their divorce. Parenting classes focus on improving communication with your children, developing problem solving skills, and maximizing the time you spend with your children. After all, children (certainly younger children) have no responsibility for adult decisions and actions, and are therefore innocent victims of the relationship issues their adult parents go through. The law may require you to attend parenting classes, but the presence of a requirement should not deter you from finding the value in the parenting classes. If you consider them opportunities to learn more about effective communication with your ex-spouse and your children, you may find yourself feeling better about your circumstances with your ex-spouse. If you can be motivated by the prospect of lower stress in the lives of your children, these parenting classes will have done their job. Johnson Mediation is an excellent resource to learn more about all aspects of divorce. If you and your spouse are seeking a divorce and you have children, you will want the kind of confidence that a service like Johnson Mediation will provide: expert understanding of Minnesota divorce law and the willingness to find solutions to your unique situation. 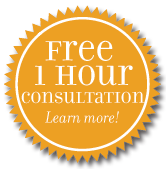 Johnson Mediation also offers a free consultation so that you can make the decision that is right for you and your family regarding how to proceed with your divorce. Johnson Mediation established a reputation as a source of excellence in mediation in Minnesota. And, if you are in the midst of a contested divorce and are looking for parenting classes to meet a court requirement, our team can help as well. Call us today at (952) 401-7599 for more information.